This is one of the common repairs on sash windows. Chances are if you have a broken cord, you most likely have a loose bead also. To fix a broken cord, you have to take the sash out of its frame so you might as well fix the beads while you are at it. It is important you get the exact type of cord. When you go to purchase them, go along with the broken one to get a perfect fit. You will need two lengths of cord for the upper and lower sash, but don’t cut it to length in advance until you are ready to reattach them. From the centre, remove each bead carefully to avoid damaging the frame corners. Then, remove the frame or frames as the case demands. Place the sash on a workbench and remove any piece of broken cords on each side then pull out any nail securing the cords with pincers. Feed a string to which is attached a 50mm nail into the hole at the top of the pulley until you can reach it and pull it out from the pocket. Tie the length of the new cord to the ends of the string then pull each cord over the pulley down into the weight compartment and out through the pocket. Untie the string from each cord thread through hole above the weight and tie it with a stop knot. Replace the weight and put the pocket covers back. If you took out the upper sash, replace it first and fix the parting bead before re-installing the lower sash. Look for a knockout panel. Replace damaged or missing glass and glazing compound. However, to ensure you do not have regular consultation with a sash window repairer, you can take some steps to keep it in good condition. Clean regularly to make it easier. Clean on a mild and windy day. Do not clean on a sunny day as soapy streaks of water will dry on your window. When this happens, it makes your sash window appear dirty, and it weakens your glass. Use a dishwasher liquid soap mixed with water and a soft sponge to clean the outside of your sash window and use a soft towel (not a paper towel) to clean the inner part of the window. While cleaning, pay attention to details to detect a fault so it can be corrected immediately. 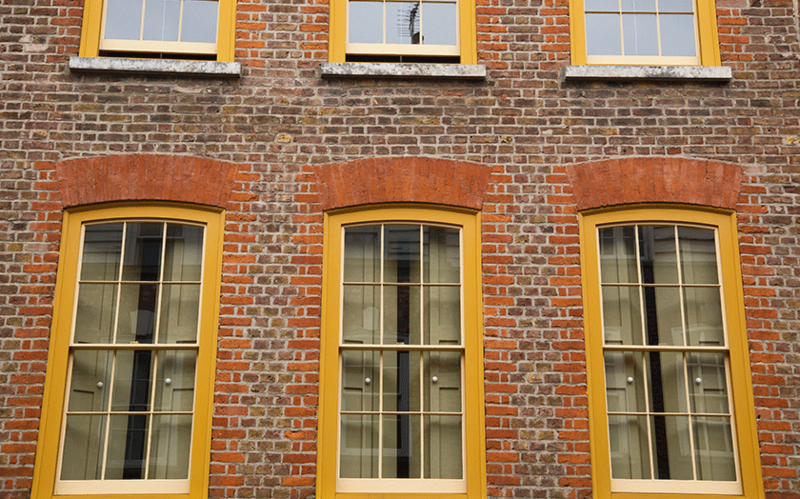 The repair of sash windows is quite a complicated process that requires attention to detail and expertise. Instead of taking matters into your hands, it is best to have a professional check your windows to determine the level of damage and offer the best solution. This could either be to repair or replace your sash window.